Currently change is on the minds of many EVE players. Since Crucible, evolution of game mechanics proceeded at an unprecedented pace. With the new six week release cycle that transformation became even more accelerated and the most recent design changes are more significant than anything we have seen in years. It is one thing to change the stats and roles of a few ship classes, but to fundamentally reform a game mechanic at the foundation of large scale player interaction is no trivial matter. With this design iteration, as with any other, there will always be those who resent or even reject the change, others welcome it and some may be largely indifferent. Where do those different reactions come from and are they justified? All forms of life adapt to the environment in an effort to survive. The more complex a lifeform is, the more it can adapt to different conditions. No matter how adaptable, though, they all strive to develop working survival strategies and reproduce them whenever they can. In building their societies, humans create collective stores of knowledge to pass on the best methods to achieve that by embedding them in codes of conduct, rituals or manuals. Even the most simple tribal societies have their established ways to do so, albeit that they have nothing but an oral tradition serving that purpose. This ongoing process of optimization aspires to reach a stable condition. Whole mythologies and belief systems revolve around the quest for peace and prosperity. Overcoming adversity is at the centre of human development, but at the end of it is the aspired reward of stability. Thus every type of human society develops from the need to change and adapt, but it is not their goal to do so. In many ways the purpose of societies is the exact opposite. At the centre of this lies what we call tradition: A familiar way to do the things we consider beneficial for our collective prosperity. In accordance with this, it can be said that both the ability to adapt and the desire for stability are equally valid expressions of human behaviour. Without the ability to deal with change it would be impossible to surmount the many challenges of life and without stability we would have no way to reap the rewards and prosper. Interestingly enough, the high level of cohesion achieved by human societies in recent times has also lead to an accelerated pace of development and technological innovation has risen exponentially during the last century. 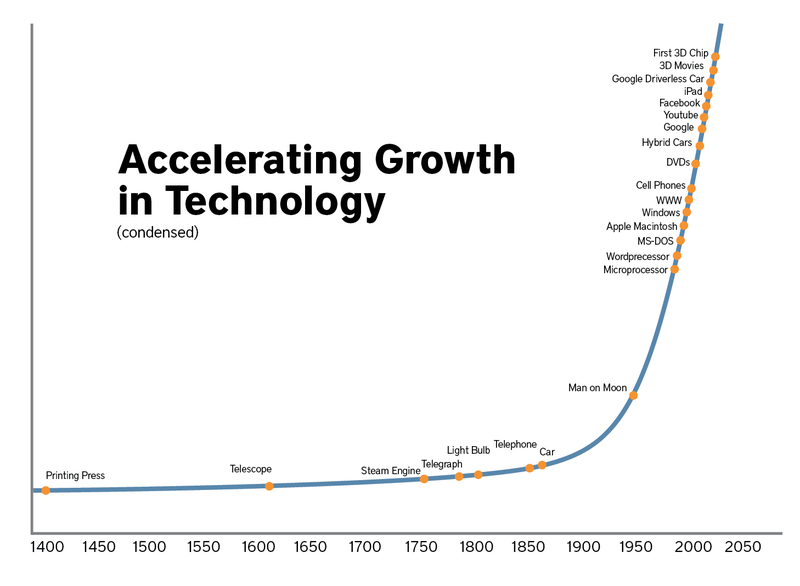 This growth of technological innovation is not directly reflected in social change though. Empirical studies have come to the conclusion that organisations and societies develop more in the way of “logarithmic leaps”. Adaptation happens very quickly at every technological innovation, but there is no synergy which would lead to a sustained exponential social transformation. It is the inertia created by human desire for stability that leads to a flattening rate of social change even if the technological framework evolves much quicker. Of course those leaps will happen more frequently with higher rates of technological innovation, but they will still lag behind. The constitutional principles of societies are at the root of this. As a result, changes will often be methodological rather than structural. A simple example would be warfare. Through changes in technology the way we wage war has changed massively in the last hundred years, but there is still war. In EVE we have seen ten years of adaptive evolution. That is of course nothing when compared to the hundreds and thousands of years over which societies develop, but games naturally develop faster than real-life societies by design. After all, a game world that remains too static offers little entertainment. Therefore EVE features many built-in conflict drivers which incentivize aggressive interaction which favour rapid change. In addition to that the players represent very powerful actors in the world of the game and therefore they not only have the ability to adapt but also to influence the gaming environment. Despite this, it can be observed that in the game – as in life – people gravitate towards forms of organisation that offer stability. The coalitions of nullsec or the many people who stay in high security space are an expression of that. Players take an effort to minimize their risks, and maximise their income while making sure that they only have the content they desire. That works on many different levels. Even those who take the role of constant thrillseekers have their established fleet doctrines and methodologies of engagement which are supposed to guarantee that they can have a level of control over their conflict environment. As stated, that reaction is only natural, but does that create an environment conductive to a satisfying gaming experience in the long term? A few years ago CCP either consciously or unconsciously realised that the player society of EVE had reached the flat part of the logarithmic curve of social change and they tried to change that, but their first attempt to “shake things up” failed miserably. The idea behind Incarna was not only to add a new feature to the game, but to fundamentally change how it is played. Forcing such a change is a complex undertaking however and obviously Incarna was too flawed. It fell short of the goal and resistance from the players prevented change into that direction. Defiance served its purpose there and CCP realized their mistake. Since then, CCP has adopted a different approach. Many small modifications they made in recent years have had wide-ranging consequences in the way the game is played. Frigate PVP – for example – has changed from “train to fly a Rifter” to a true rock-paper-scissors game. A whole war happened because of the moon material rebalance and the CFC actually adopted a rental model. Now we witness the beginning of an even more significant change in direction. 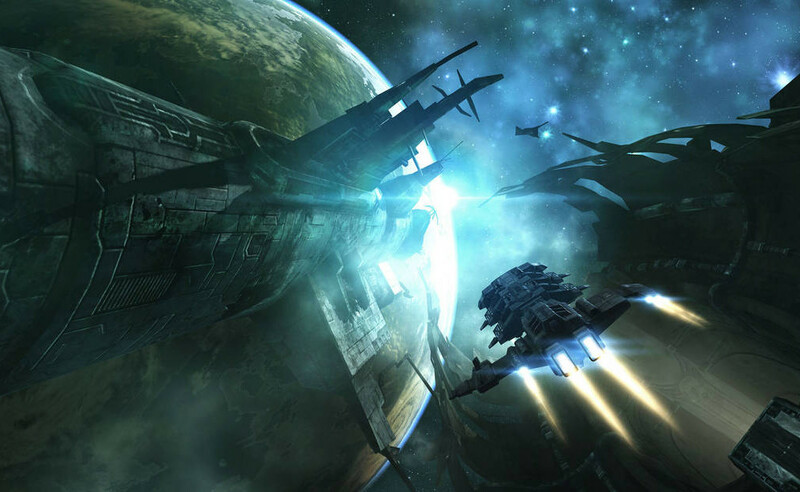 CCP assures us that it is only the first of several steps, which implies that the complete sequence of iterations will leave EVE in a state that will be virtually incomparable to the status-quo developed during the last decade. There are of course naysayers, but one thing is certain: At the time of Incarna, there were hardly any positive responses by players, now there are many. It looks like CCP have learned how to approach the issue of forced change in a more appropriate way. Both the critics and the enthusiasts fulfil a role in this process. The former ideally provide input on how to build a system that allows for stability and the latter serve as indicators that the process has a chance to succeed. Neither one of them is inherently wrong. 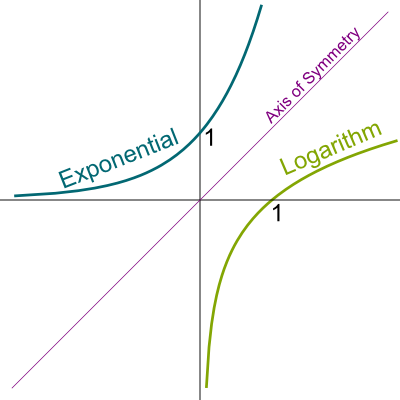 Certainly we will find ourselves at the beginning of a new logarithmic leap and it will take time until we arrive at the flat part of the curve again. Humans do have the ability to adapt, and the EVE players will. Most importantly, since this is a game, the hope is that the adaptation process will create a lot of new content.